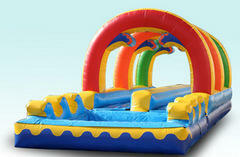 Slides should not be inflatate during heavy winds. 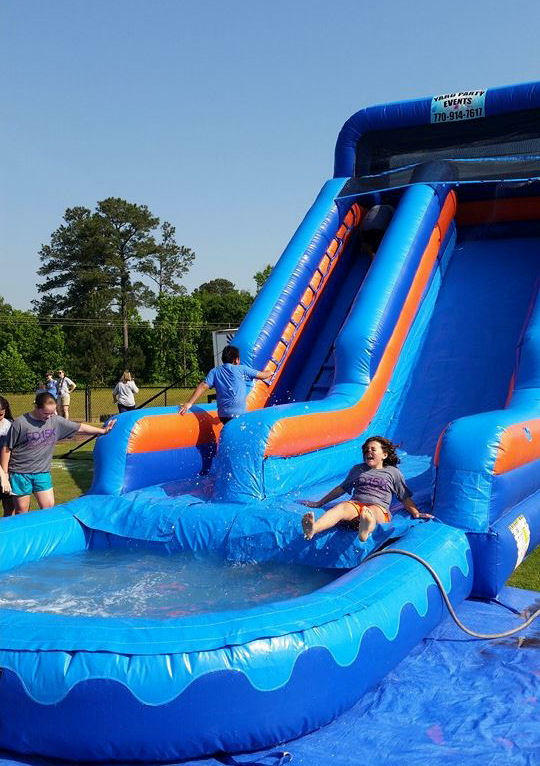 No more than 1-2 people should be on the slide at one time. 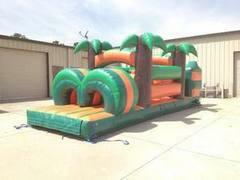 This piece comes with a full sized 13ft x 13ft bouncy area w/ inside basketball and DUAL Slides into the Splash Pool below!! 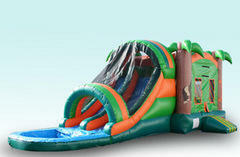 Get the kids wet with our 18ft Climb, Slide, and Splash!! 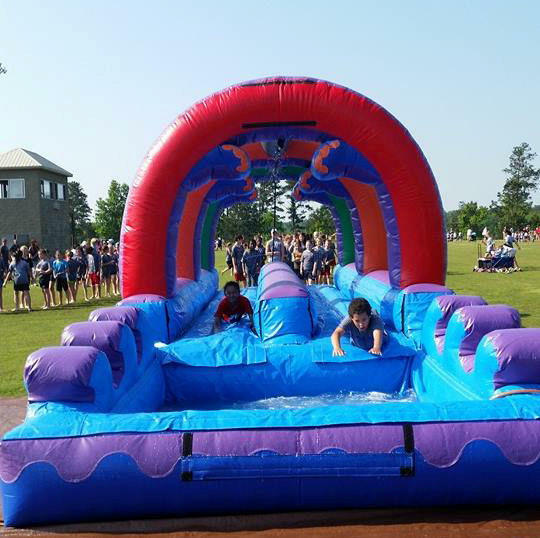 This piece comes with a Splash Pool! Put these two pieces together for our Wildest Wet Combo. 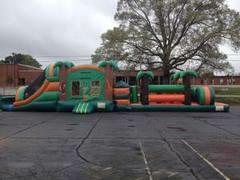 and a 26ft Dual Lane Obstacle Course.